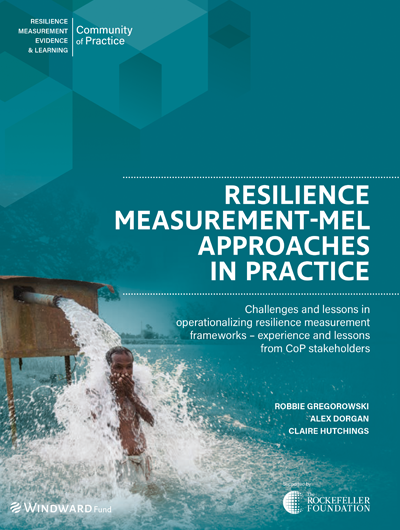 A growing network of 250+ practitioners of resilience measurement, evaluation, assessment and learning, we make the concept of resilience actionable for policy-makers, donors, project implementors and investors. We collaborate to innovate and advance research, measurement and learning tools that produce credible insights into what works for increasing resilience for all in today’s complex world. Representing 90+ organizations, our members are leaders in strengthening the evidence base for resilience investments. The concept of resilience is on a journey from theory to practice. Members have identified some milestones on that journey. What event started you on your resilience journey? What milestones have been key along the way? You can tell us more here, and we will use this information to update the timeline. The RMEL CoP has hosted four innovative collaborations among member organizations. Made possible with the support of The Rockefeller Foundation, these collaborations have advanced resilience practice in new and emergent areas. Dave Wilson leads the Climate Change theme at Itad, meeting the needs of clients for robust, evidence-based findings to inform decisions shaping a low carbon, climate-resilient future. The inaugural RMEL Conference, brought together 200 delegates to share expertise, evidence and emerging RMEL challenges through 28 panels - comprising 104 presentations - and 3 plenary sessions. Since 2016, the RMEL CoP has held 4 convenings, taking place in Rome, New York, Kampala, and New Orleans. Join the RMEL Community of Practice as a member or a subscriber. Follow us on Twitter @ResilienceMEL! Join the RMEL CoP LinkedIn Group! This group is for members of the RMEL Community of Practice, and delegates who participated in the RMEL Conference 2018, providing a place to connect, and to share knowledge and expertise. 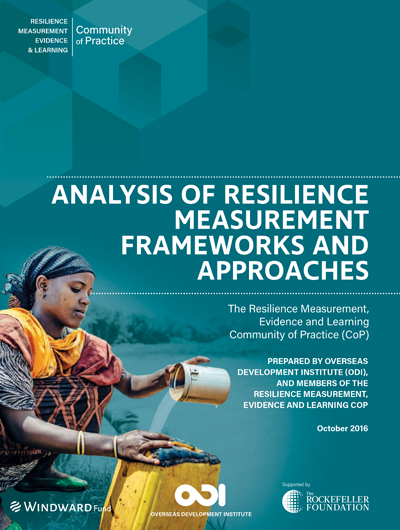 Our purpose is to advance the field of resilience measurement, evidence and learning, through the collaborative exchange of ideas and publications.